My mad lovelies, I didn’t have a chance to write a blog post this week. A lot has been going on in my life between doctors appointments and starting an out-patient treatment program. 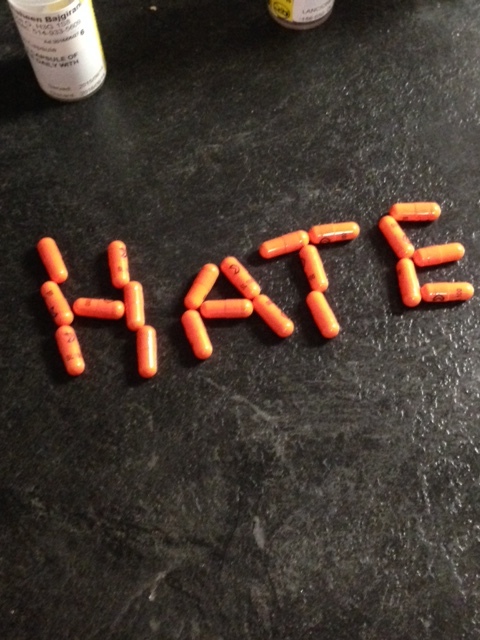 I’m taking a lot of medication these days, and I’m sure a lot of you are as well. I know a lot of us take our medication in secret, often afraid of the stigma associated with taking meds. So with that in mind — I’m opening my medication cabinet to you. Right now I’m taking 1200 mg Lithium, 250 mg of Seroquel, 150 mg of Zoloft, 0.25 mg of Synthroid, and 1 mg Clonazepam when needed. What do you take? What helps? What gives you side effects? Brintellix, which is the newest antidepressant. allergic to lithium so I take Tegretol and Lamictal for mood stability. Instead of Klonopin (sp?) I take Tranxene. Same type of med. Also on Ritalin. Adderall gets me too high. can’t take. I’m in a depressed phase. It’s not horrible, but I’m 70% in the bag. Underwater. How is Brintellix working? Viibryd was very bad for me, and it works kinda like Brintellix so my pdoc and I are a little hesitant. My med cabinet: 300mg Seroquel, 300mg Lamictal, 300mg Luvox, 8mg Prazosin. I was taking Klonopin as needed until I ran out. 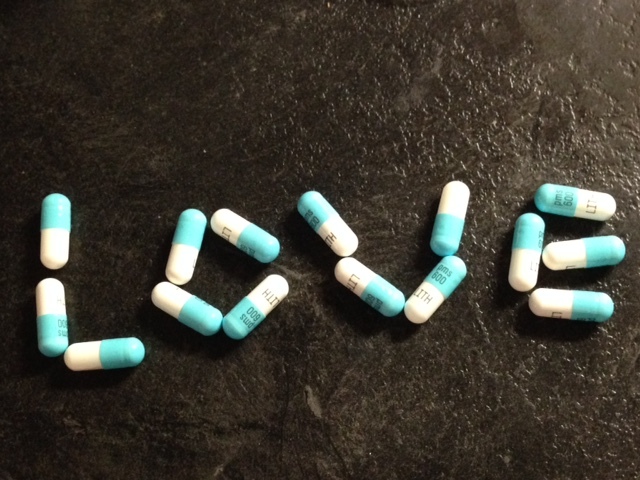 These meds work, but my lows are still really low. My highs are more managed. 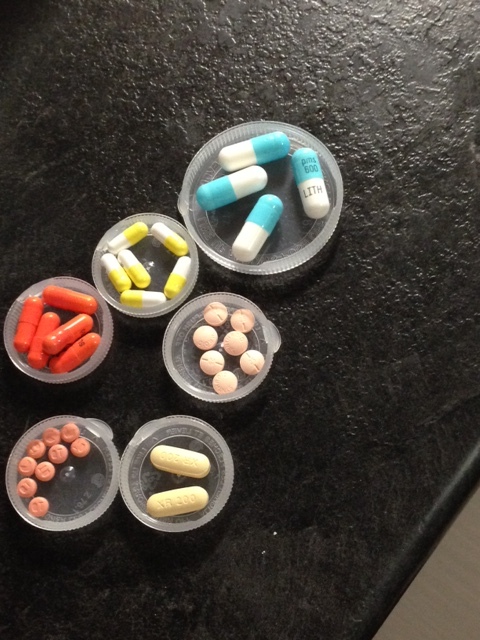 I will probably need a bump on lamictal soon and another benzo for panic. Do you find that your med doses have to constantly be increased? I seem to plateau a lot and need more. I plateau after about 2 years. Thanks for sharing. It looks like my last post didn’t go through. In case it didn’t, I’ll repeat what I said. I have pretty severe treatment resistant depression, so it hasn’t worked too well for me, but I think it has helped some.